Feel the true beats of Africa, from the moment you touch down to the moment of goodbye. Indulge in cultural experiences and hidden gems not available for other tourists planned by one of the best African safari tour companies of Africa. Enjoy red-carpet treatment everywhere you go. We call this the Ombeni Experience. Explore Africa like never before. 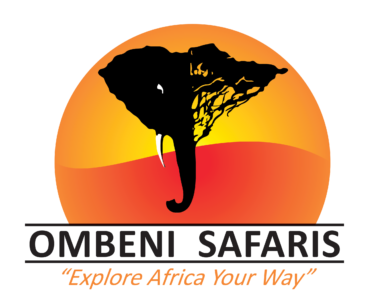 Our Ombeni Safari Experience prices include everything: air and ground travel in Africa, trip insurance, all lodges and meals, all park fees and wildlife safaris from game drives to walking safaris, even all tips and gratuities. Your car has a fridge full of free refreshments and snacks with an unlimited stock of local wine and beer. Ombeni African Safaris: One of the best safari tour companies even have a special license so that you can enjoy alcoholic beverages during the game drives. Throughout the safari experience, you’ll be impressed with the little things. At the Kilimanjaro airport, you’ll exit the customs through VIP express line. Your personal safari guide will welcome you with refreshments, cold beer and South African wines, along with a native Maasai Chuka or custom-tailored garb made by Ombeni’s sister Linda. With us, your days in the bush are filled with luxury, warm smiles, and special treats. We show you the real Africa, hidden for so many tourists – in extraordinary style! One of the best African safari tour companies provides specially crafted Land Cruisers have pop-up roofs with 360-degree views and sun protection – perfect for spotting and photographing the wildlife. There are seats for 8, but we only take one party in one car (max. 5 persons) to provide the best window seats for everyone. WiFi, charging stations, ornithologist-approved binoculars, and refrigerator make a huge difference out in the bush! This is the Ombeni Safari Experience. Book your safari before June 1st to claim a free hot air balloon safari ride over the Serengeti with a champagne breakfast in the bush! All our guides are graduated wildlife experts, educated in College of African Wildlife Management, the trade leader in Africa. After a 4-year degree, we train all guides for one full year under senior wildlife experts, so that they will know every route inside the national parks. Your personal driver guide is at your service 24/7 throughout the trip – with a luxurious 4×4 Land Cruiser. If you see something nice by the road, please make a stop; the mileage is unlimited, and your guide knows all sights. If the great migration is further away from your lodge, we can drive you there, while others just pass. Share your safari dream with one of the best African safari tour operators, and we make it come true! We can craft a tailor-made itinerary covering your selected destinations, fitting your travel style and budget. We help you to get the best out of your safari, recommending the best areas for wildlife watching depending on the season. Just say the word, and we’ll organize everything from scratch. Most safari companies are not locally owned like us. Our team of native Africans knows the history, traditions, and best-kept secrets of their homeland. The director of our East African operations is a world-wide respected wildlife expert, Prof. Christian Ndege. Our owner Prof. Ombeni Pallangyo is a legendary tour leader and passionate about changing the life standards in Tanzanian villages. We support both the wildlife and local communities. Our charity organization Ombeni Foundation helps the people of Meru village by supporting the Songoro Primary School and building the Songoro Health Clinic. You can visit Meru village to enrich your safari experience and witness how one of the best safari tour operators: Ombeni African Safaris changing lives.